Congratulations to D.J. Hackett, and damn you Carolina! 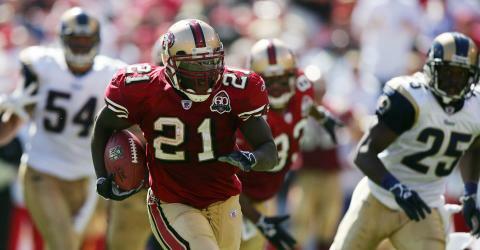 San Francisco sure could’ve used an underrated player like the former Seahawk. But overall, this is a good pick for Carolina. They’re getting an experienced receiver that can catch the ball, and run good routes, and a player that can study (it is pretty much safe to assume this since it’s not easy to learn Mike Holmgren’s version of the West Coast Offense). Hackett compliments the team well as we can expect him to take pressure off Steve Smith. I’m thinking they might just be the NFL’s next best WR tandem– under Harrison & Wayne, or Ocho Cinco & Houshmanzadeh. That is if Delhomme can stay healthy.